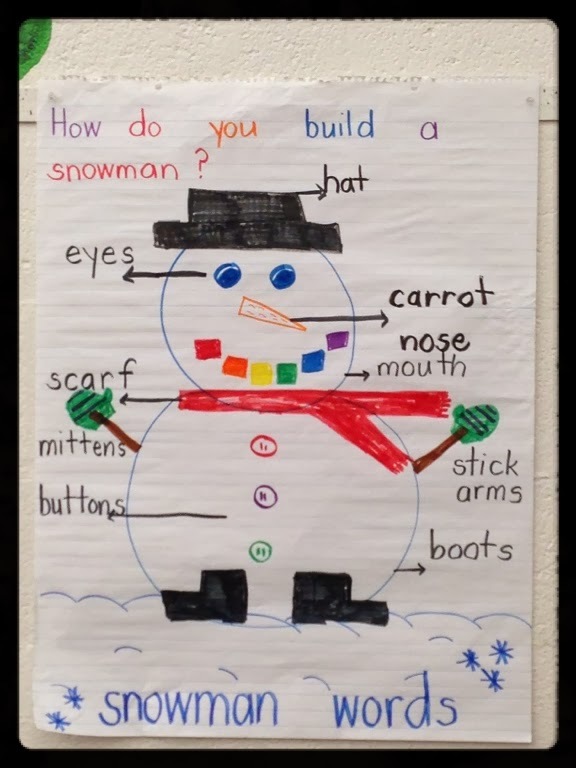 "How do you build a snowman?" 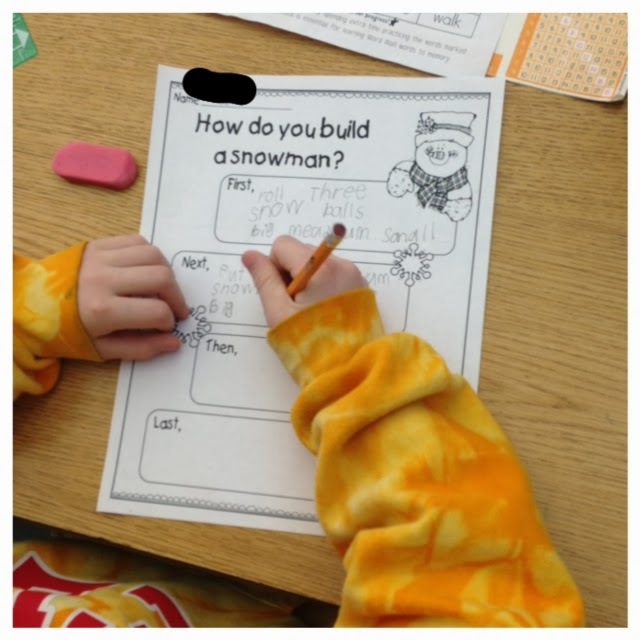 At the time of this nonfiction writing, the ground was covered with beautiful, white snow and an informative writing about how to build a snowman seemed like a perfect writing assignment. 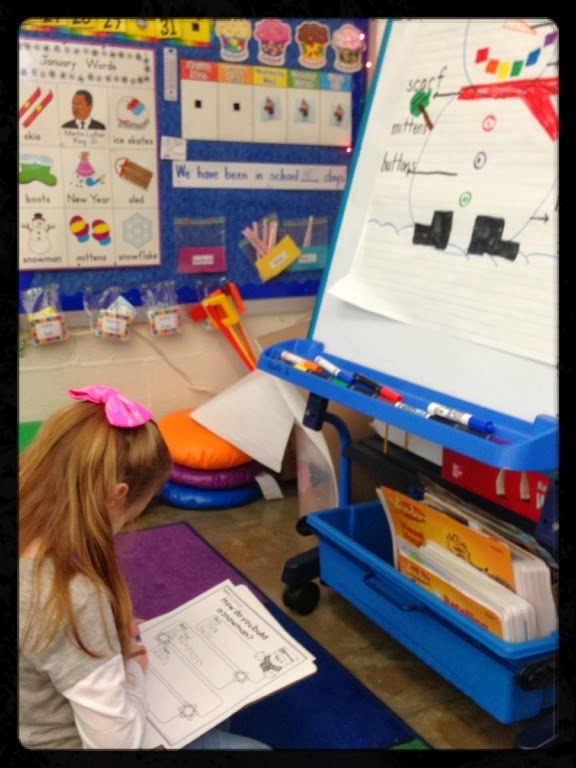 Before the children worked on their writings, we completed a shared writing together, a model so the children could see how the writing was to be done. 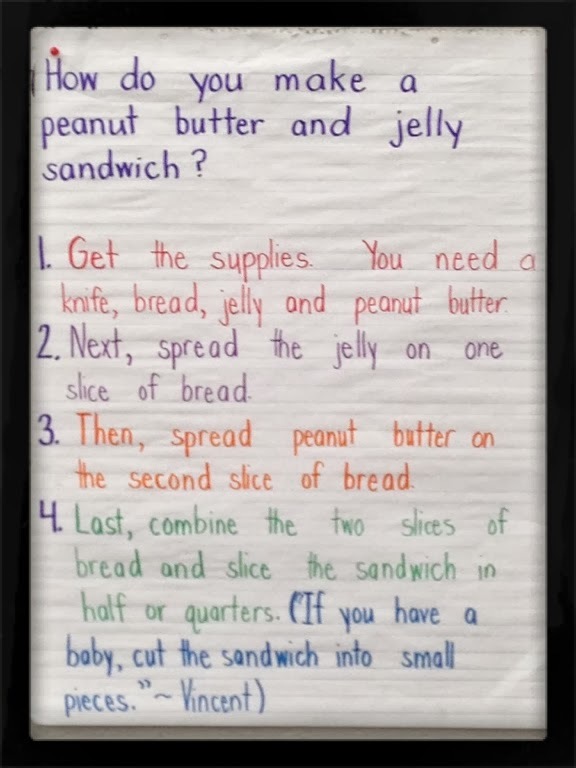 For our class writing, we wrote about how to make a peanut butter and jelly sandwich. 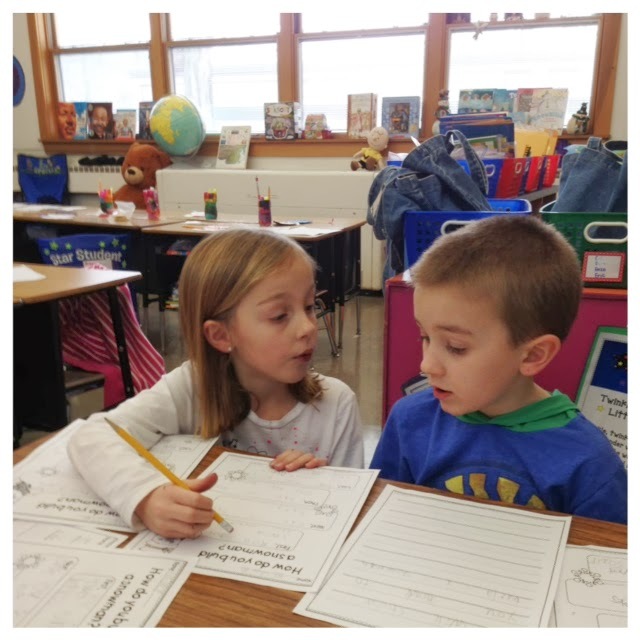 Our shared writing included a topic sentence, sequenced events, transitional words (first, next, then, last) and a closing sentence. I love Vincent’s comment at the end of our pre-writing draft; it shows how prior knowledge and perception make writing a unique experience for each student. The children then worked with partners to talk about their experiences with building a snowman. 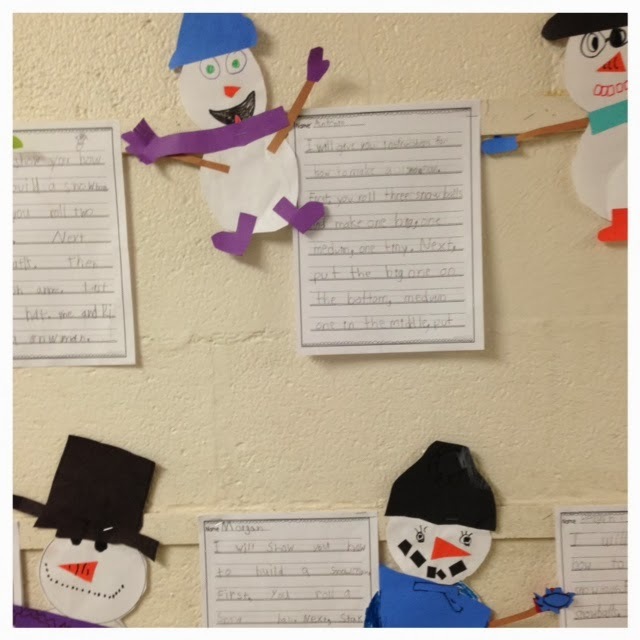 Two of my twenty-five students had never experienced building a snowman, but fortunately, we had plenty of eager volunteers enthusiastically share their stories. We created a list of words for their writings and displayed it in the front of the classroom so the children could easily access the words during the writing process. To help the children organize their writing, they completed a first draft on this prewriting paper. Most children worked with a partner to revise and edit their first draft; some needed extra support from me. 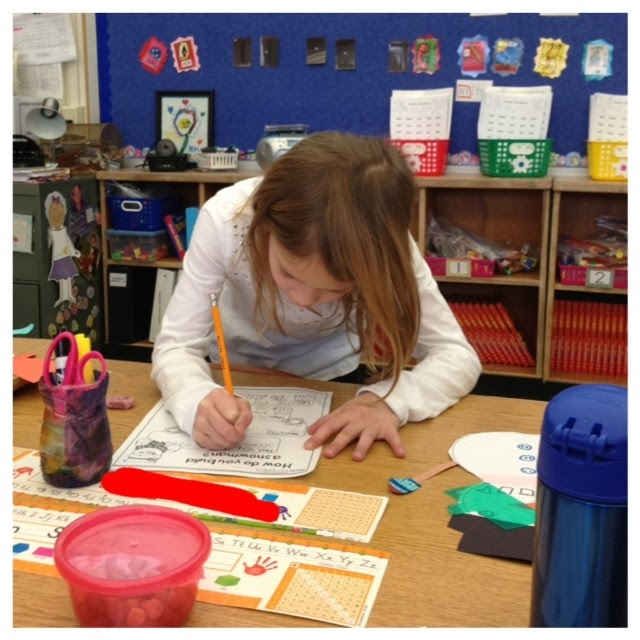 While editing, the students were looking for sentences that made sense, correctly spelled word wall words, beginning capital letter, ending punctuation and at least four steps in the process. 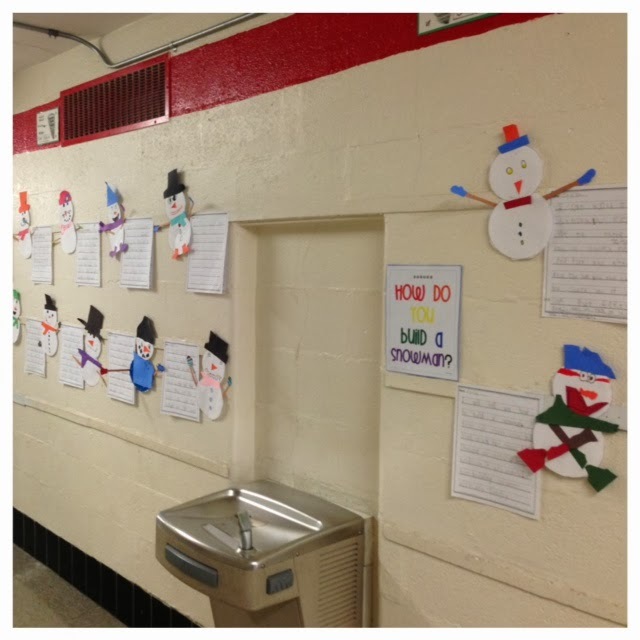 Publishing of the final draft involved rewriting their stories onto paper that would be displayed, alongside their snowmen in our hallway.